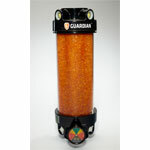 GUARDIAN - A New Line. 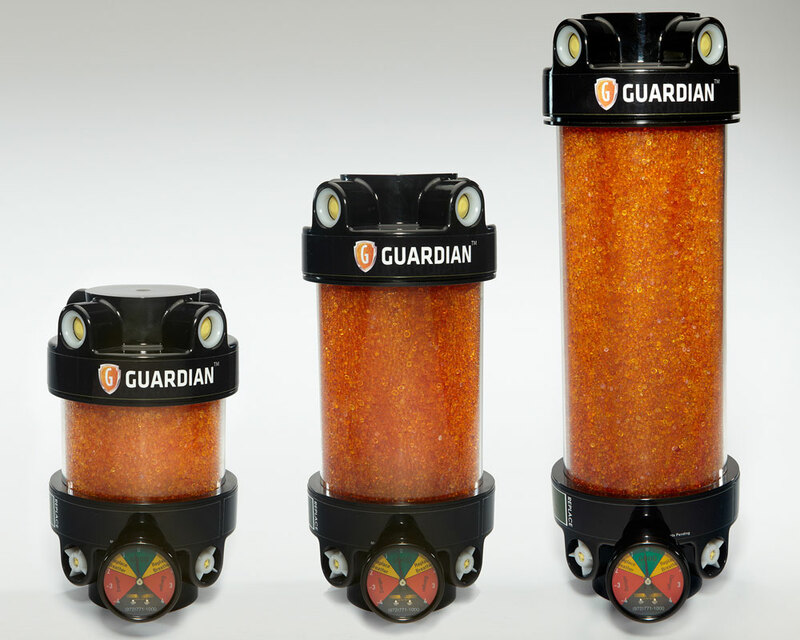 A New Standard. 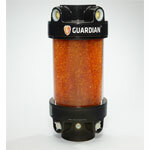 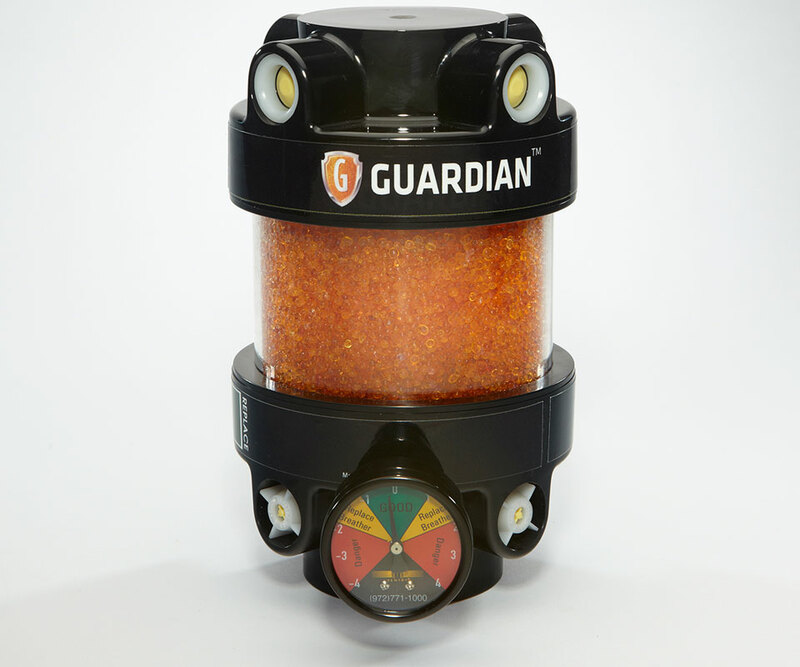 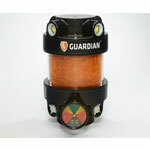 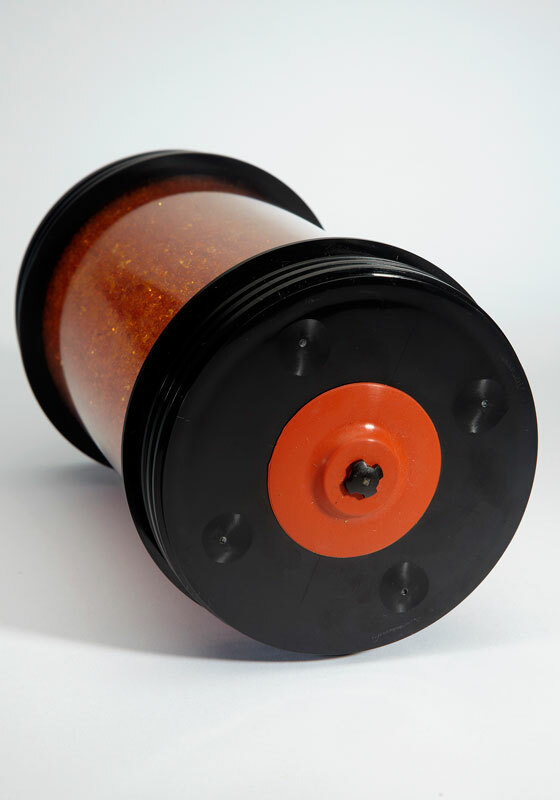 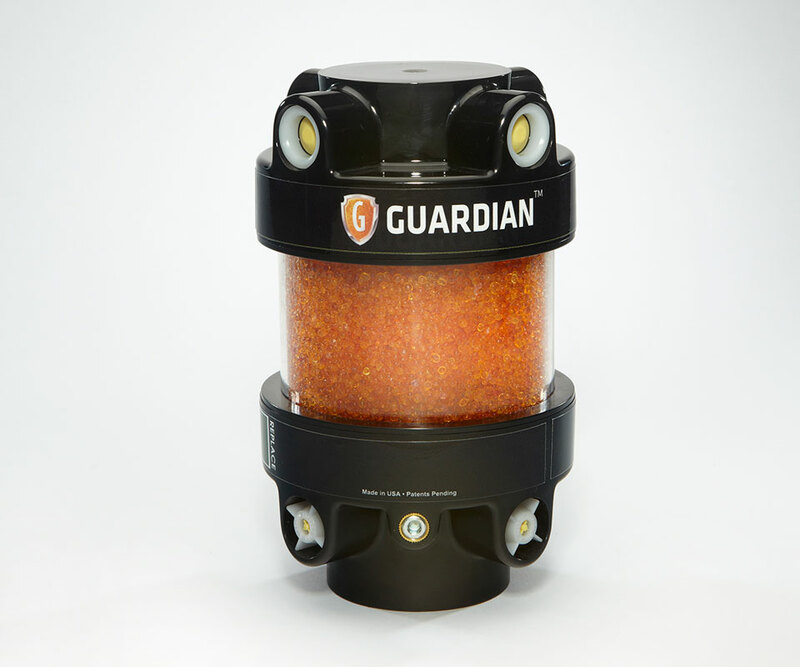 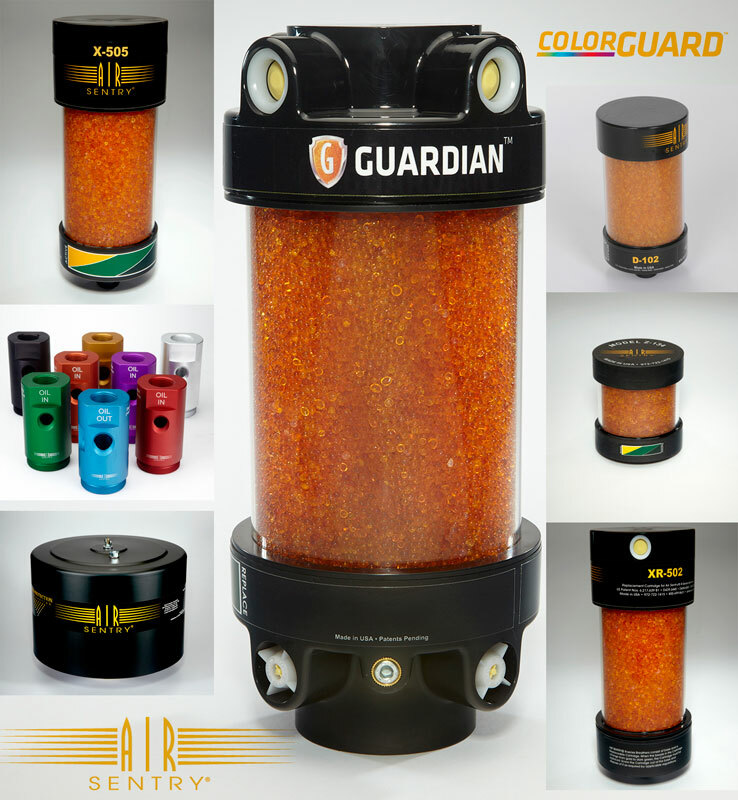 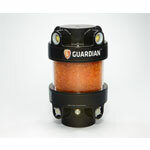 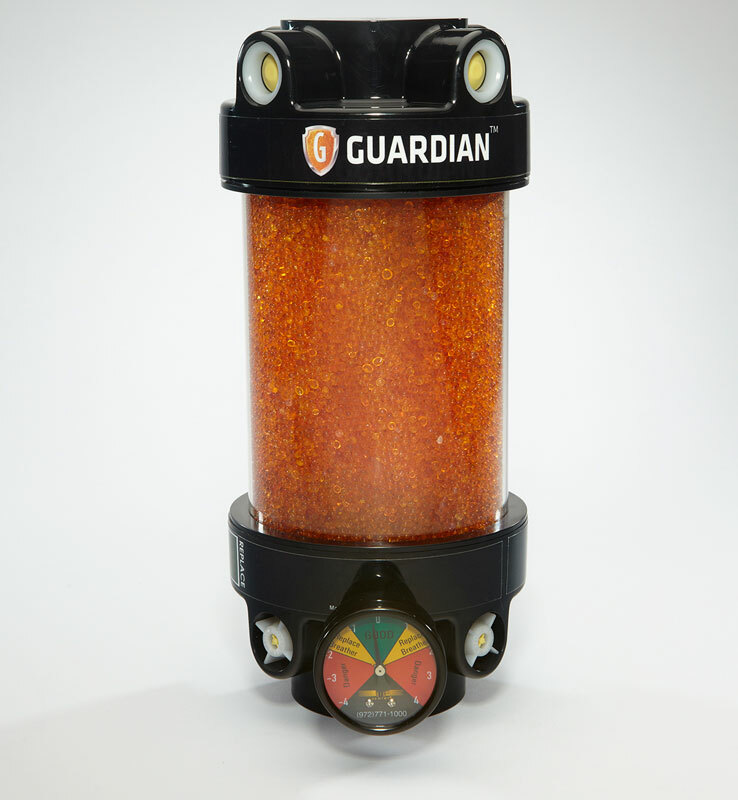 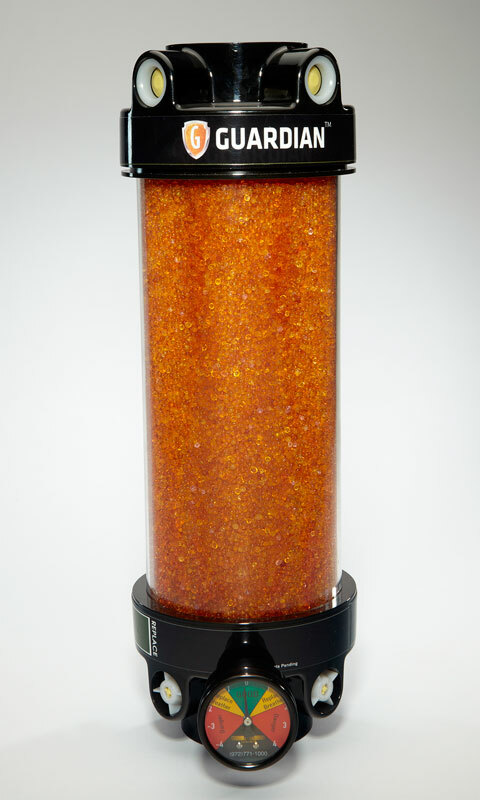 Air Sentry® set the industry gold standard with their first line of contamination control breathers in 1997 and today that standard is raised with the introduction of GUARDIAN. 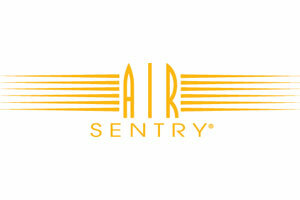 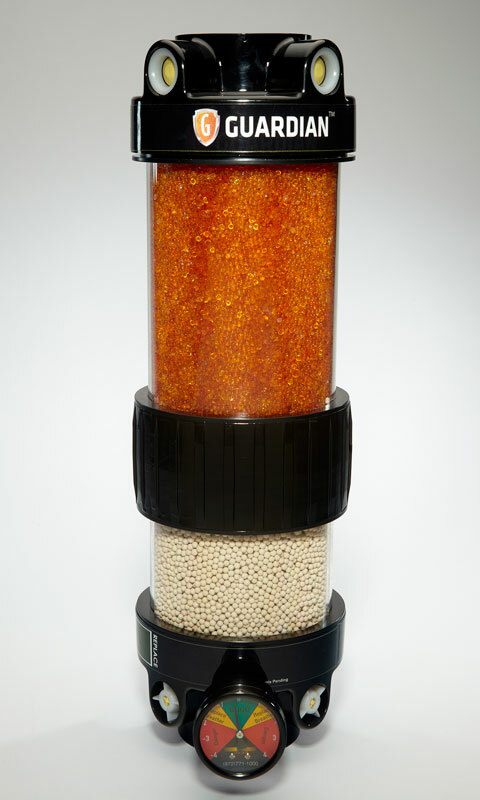 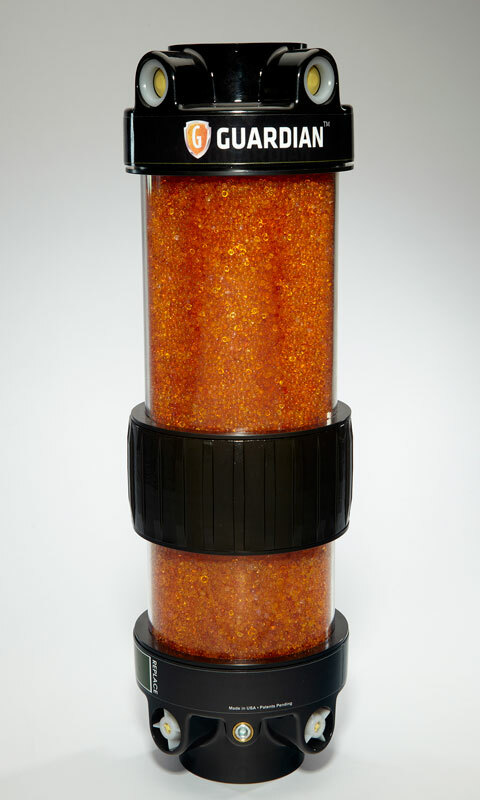 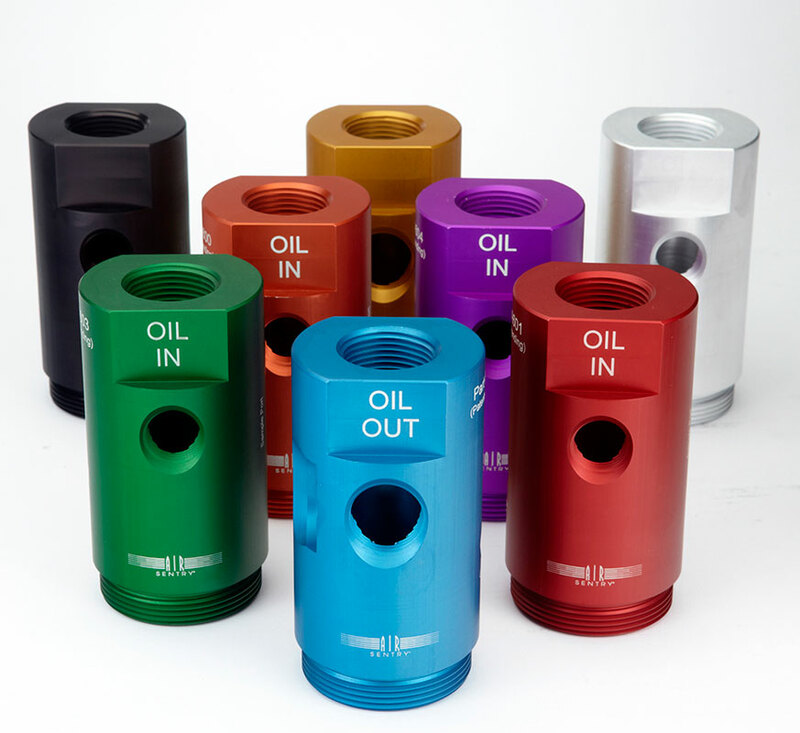 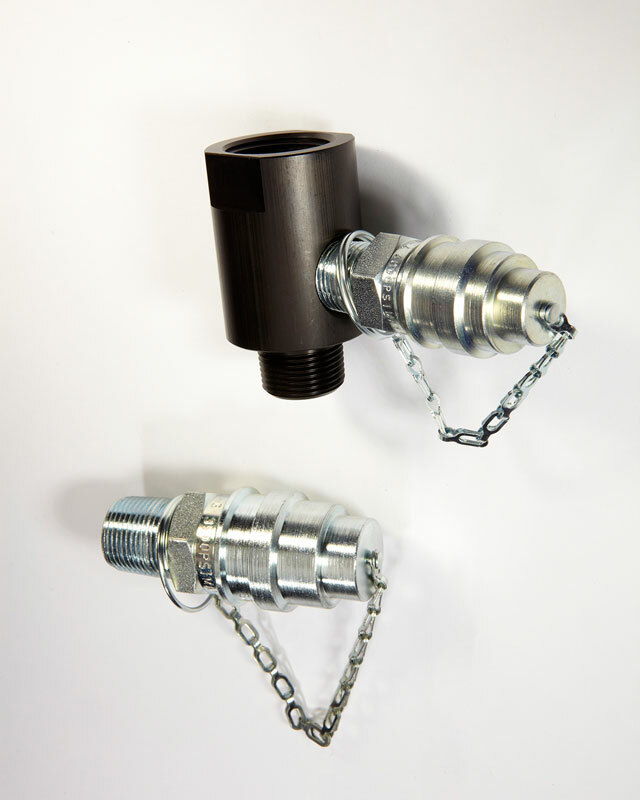 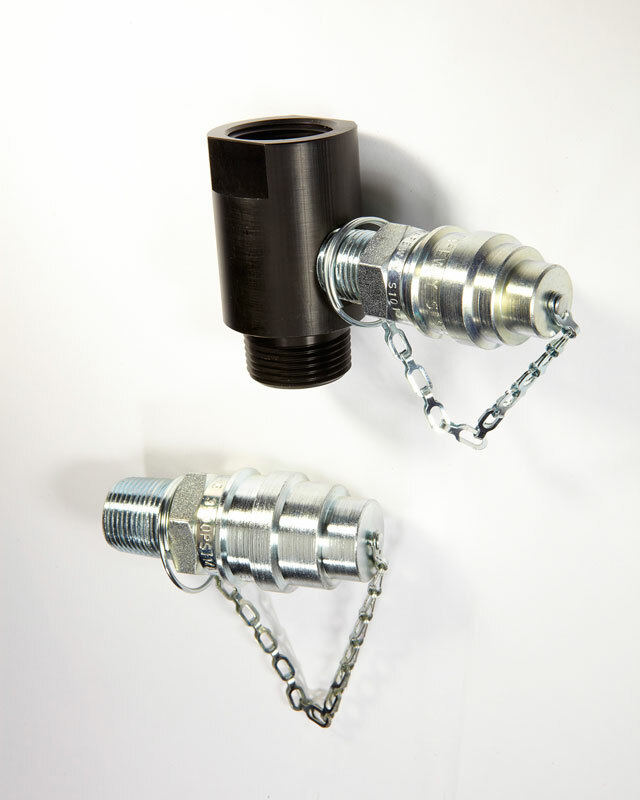 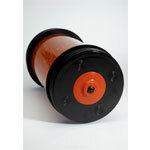 Air Sentry was the first to integrate check valve technology into a desiccant breather. 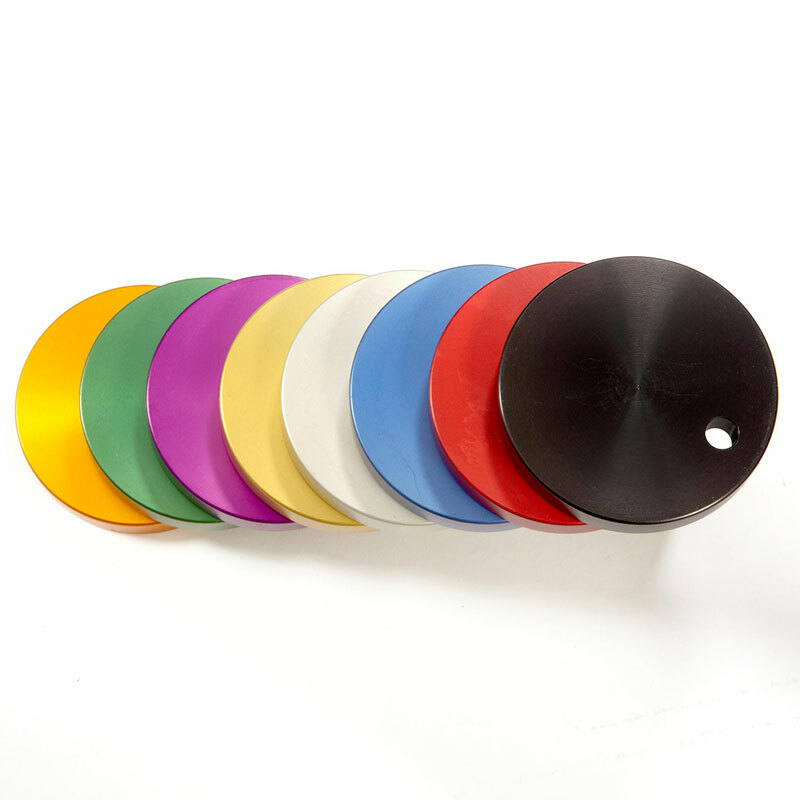 Being the first to offer replacement cartidges was another significant stride in reducing replacement costs for customers. 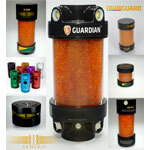 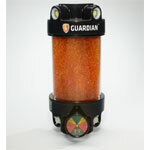 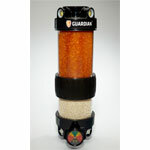 Tritan™ Construction GUARDIAN is the first breather ever constructed of Tritan. 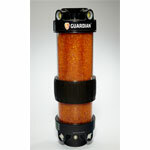 This patented material is the most chemical-, temperature-, and impact-resistant combination casing on the market. 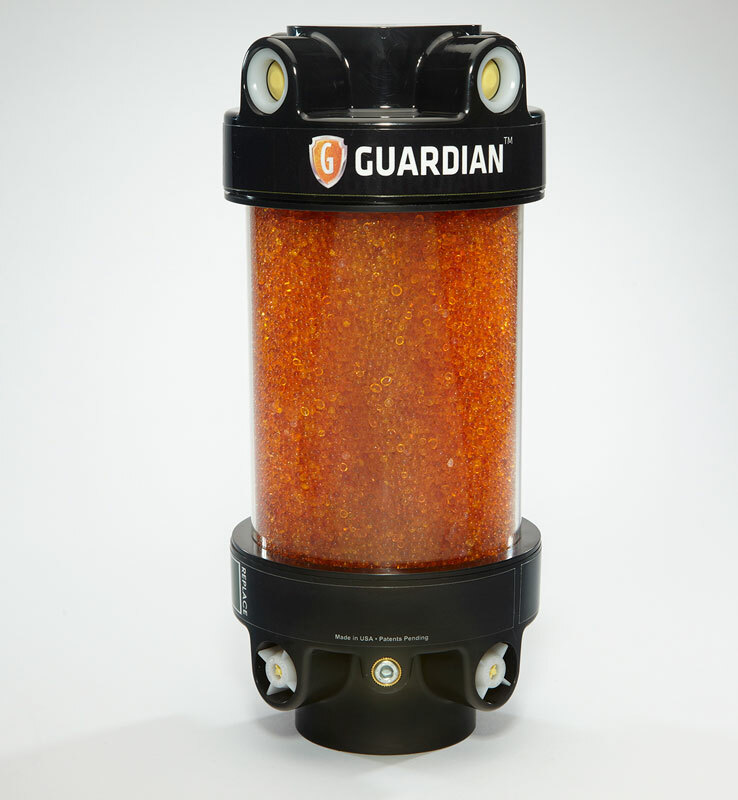 Isolation Check Valve GUARDIAN is first again with an isolation check valve, which isolates the adsorbent from exhaust air to lengthen service life of the desiccant while also protecting it from volatile and splashing fluids. 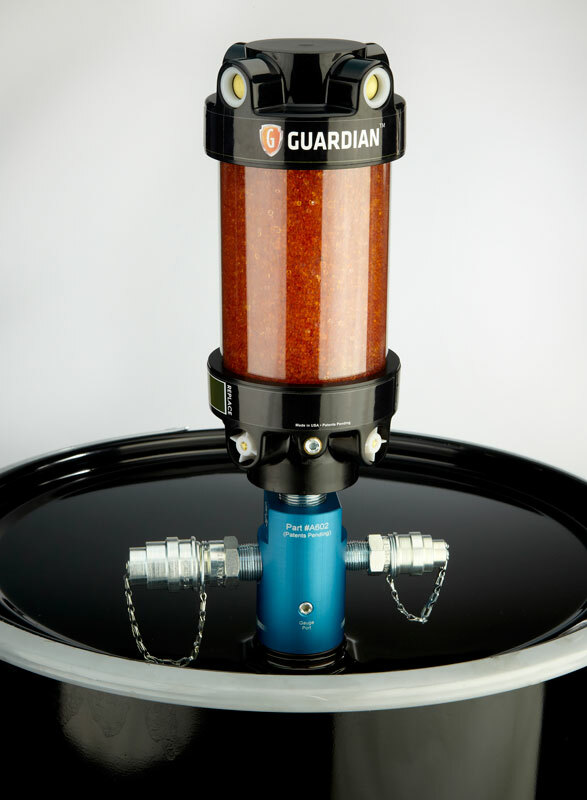 Integrated Compound Vacuum / Pressure Gauge This proprietary feature is a true-life accurate indicator of filter conditions. 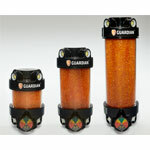 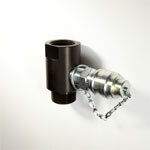 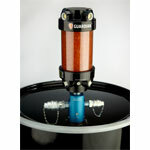 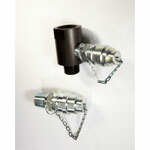 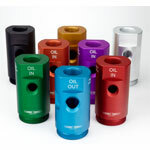 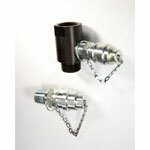 Stackable Stack cartridges to extend the life of breathers even further using the Modular Stack Ring™. 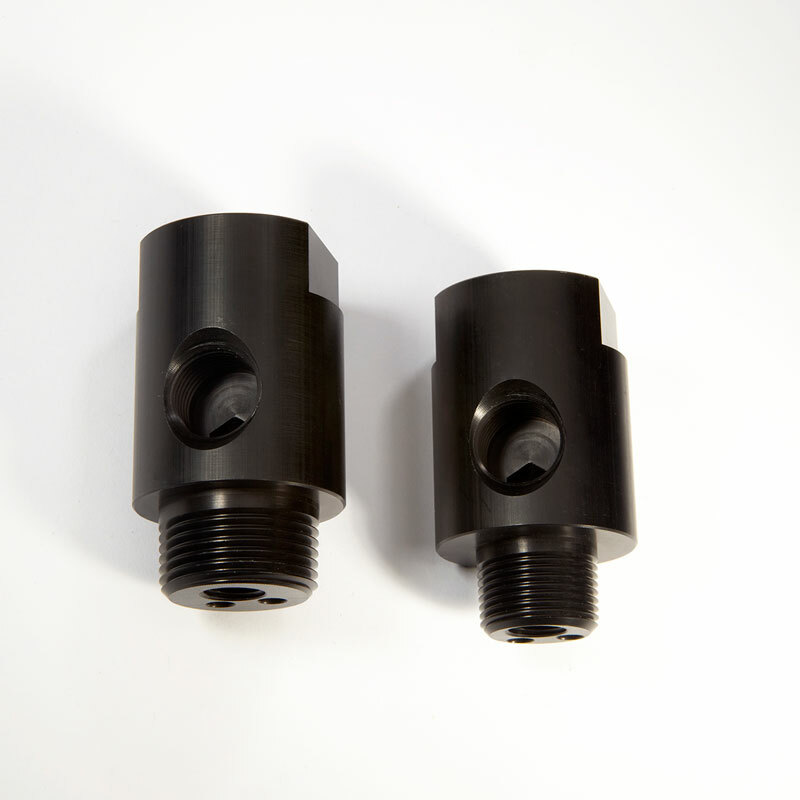 This proprietary feature lengthens the service life, reducing cost and maintenance intervals.